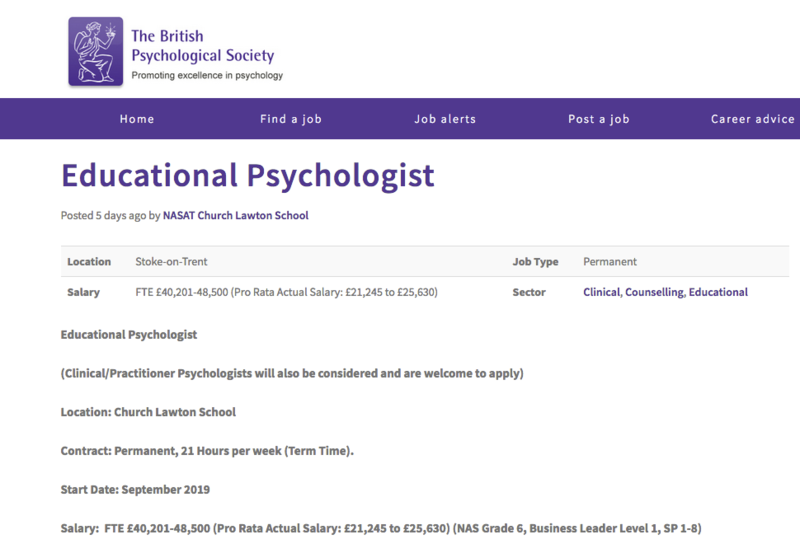 We need a passionate psychologist to join our team and work across our school. They will help with referrals for placements, support staff and support and inform parents, who are always very involved in what we do. We’re looking for someone who offers zest and zeal in educational work for children on the autism spectrum. We opened in 2015 as a free school for children on the autism spectrum to meet a well-established need for specialist provision in Cheshire. Autistic people have varying and complex needs, from 24-hour care to simply needing clearer communication and a little longer to do things at work and school. Our focus is very specific: children who work at age-expected levels. We help them to achieve their qualifications and prepare for life, further education and employment. We have high ambitions for all our students. Many autistic children and young people can become overwhelmed in school environments by the bright lights, loud noises or unpredictable behaviour of other children. Our purpose-built school is designed to meet the needs of autistic children and to create comfortable, quiet and spacious places for them to learn. Our school is securely fenced all round but feels spacious as we have fields and open country around us. We provide a complete education all the way from age four to 19. Our classes are small: we have places for 64 students and the average class size is six to eight students. To achieve this, we employ over 50 staff, including specialist teachers a proportionate number of learning mentors and a multi-agency therapeutic team. We are also recruiting for a full-time assistant psychologist and speech and language therapist and these roles will engage regularly with the clinical team at the National Autistic Society. There are plenty of opportunities for professional development and research. It’s a great and very positive environment to work in. Church Lawton is a very historic village and the residents really support us, attending school events. To sum up, we’re looking someone with a deep knowledge of autism and who possesses real passion, drive and enthusiasm for working with autistic children and young people. Find out more about autism, the National Autistic Society and the Church Lawton School by visiting www.autism.org.uk or by visiting Jobs in Psychology.